Spousal Maintenance, known in many other states as "Alimony," is the greyest of grey areas in Arizona Family Law. As you can see, there is absolutely nothing in the statute that tells the judge how much the spousal maintenance payment should be -- or for how long it should be paid. For child support decisions, the Court has a set of guidelines that can be used to determine the monthly support amount. 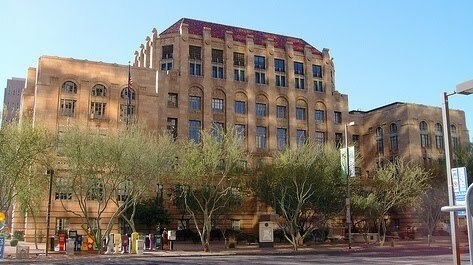 But while there is a move afoot in some states to design a set of guidelines, Arizona has none. Therefore, the final result will depend on how each judge views the facts, and how he or she applies the statutory factors. This leaves the door open for wide variations in spousal maintenance awards. Gary Frank is an Arizona Family Law Attorney who has been a fixture in the prestigious Biltmore area of Phoenix, Arizona for over thirty years. Our office handles divorce and spousal maintenance cases, as well as custody, child support, relocation/move-away, Paternity, Grandparents' and Non-Parents' rights cases, modification actions, enforcement actions, and all other matters related to Family Law. If you are in need of a consultation, we'd love to talk to you. Please call us today. You can reach us at 602-383-3610, or contact us by email at gary.frank@azbar.org. To learn more about our firm, take a look at our web site at www.garyfranklaw.com. We'd be happy to help you.